Disclosure: Quinoa, Brown Rice and Peach Salad post was sponsored by Minute® Ready to Serve Organics, but the recipe and opinions are entirely my own. 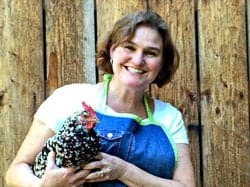 Thank you for supporting the brands that support Beyond the Chicken Coop! I am striving to eat better this summer. This is challenging because when I’m home I tend to snack all day and on other days we are go, go, go and it’s hard to grab something nutritious to eat. During the school year I always make my lunch and take it with me. I’ve decided I need to use this same strategy and pack a lunch on days we are on the go. I even started to make a lunch in the morning on those days we are staying home. I’m more apt to go for something I’ve already made and avoid snacking on things I shouldn’t be snacking on! I am really into salads right now and especially salads with whole grains. 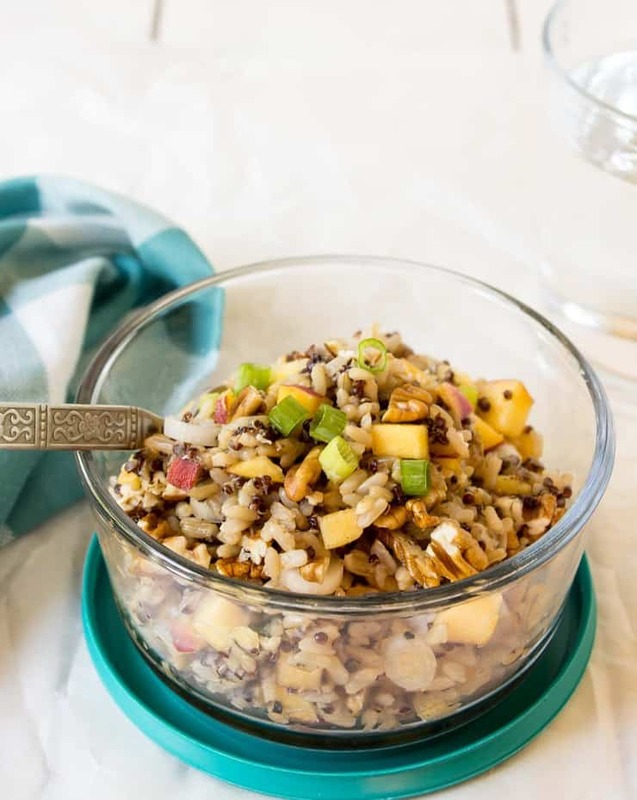 This Quinoa, Brown Rice and Peach Salad is beyond delicious and it travels really well. I make it in the morning, throw it in an insulated lunch cooler, and at lunch time…BAM! I have a wholesome and delicious lunch! 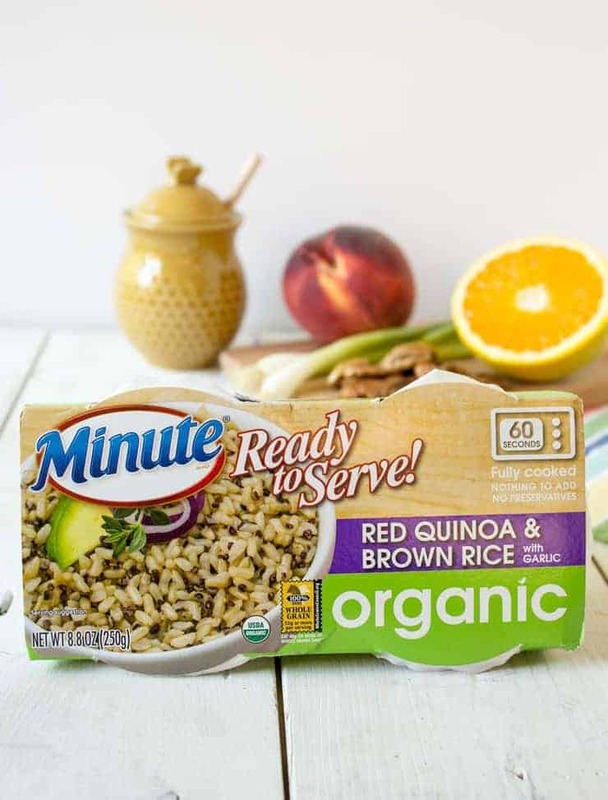 Minute Ready to Serve Organics are new conveniently packaged single-serve cups. 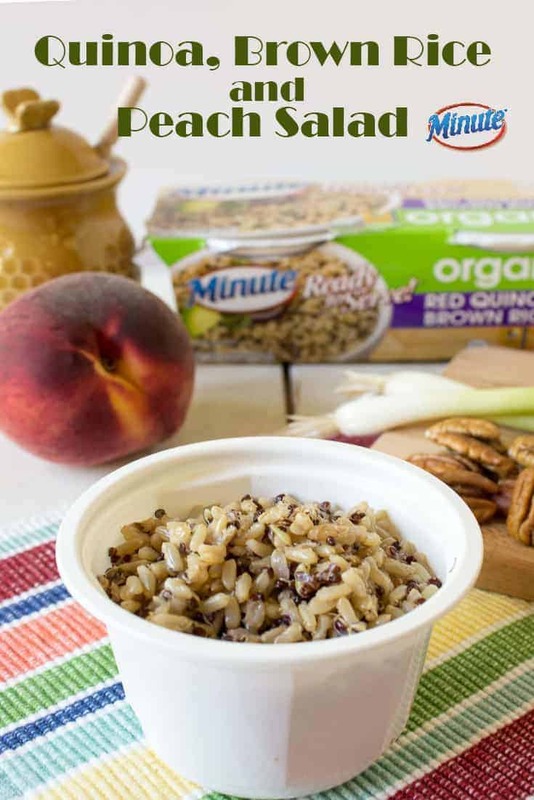 Minute® Ready to Serve Organic Red Quinoa and Brown Rice with Garlic is one of my favorites. It is delicious all by itself, but I’ve also been using it to make a salad with fresh peaches and pecans! The peaches add a bit of sweetness and the pecans add extra crunch. The dressing is simple – just a squeeze of fresh orange juice, white wine vinegar, a touch of honey and a few seasonings. That’s it! If you felt you wanted some extra protein, you could also chop up cooked chicken and add it to the mix. 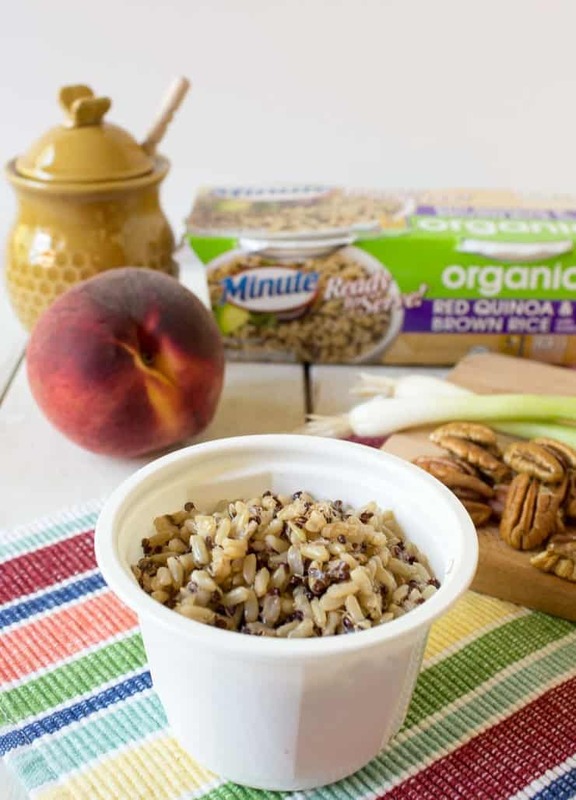 Minute Ready to Serve Organics comes in three different varieties; Ready to Serve Organic Brown Rice, Ready to Serve Organic White Rice and Ready to Serve Organic Red Quinoa and Brown Rice with Garlic. 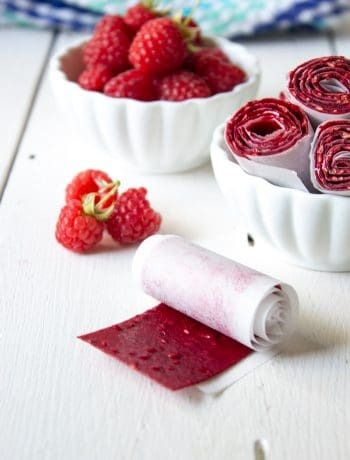 They are gluten-free and preservative free and delicious! 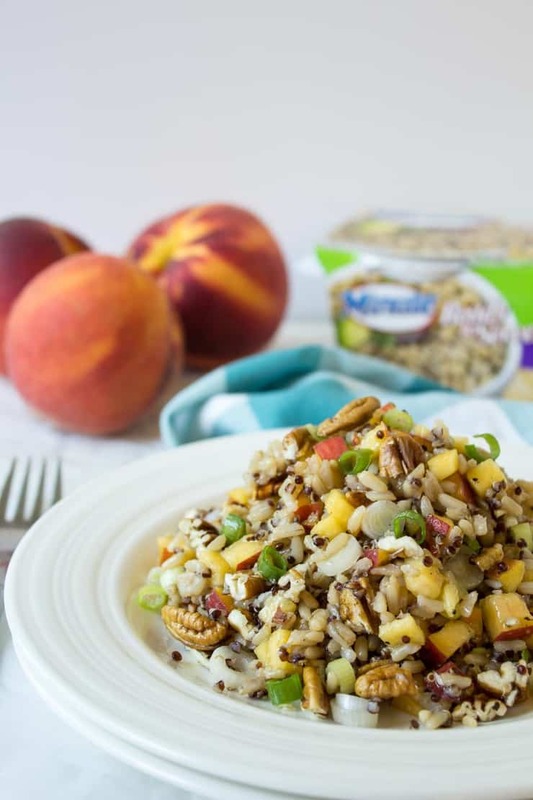 Whole grains mixed with fresh peaches and chopped pecans. Remove plastic covering from quinoa and rice bowl. Microwave for one minute. Place quinoa and rice in a mixing bowl. Let rice mixture cool. When rice mixture has cooled, add chopped peaches, pecans and green onions. Stir lightly to mix ingredients. In a separate bowl, combine orange juice, vinegar, honey, red pepper flakes and salt and pepper. 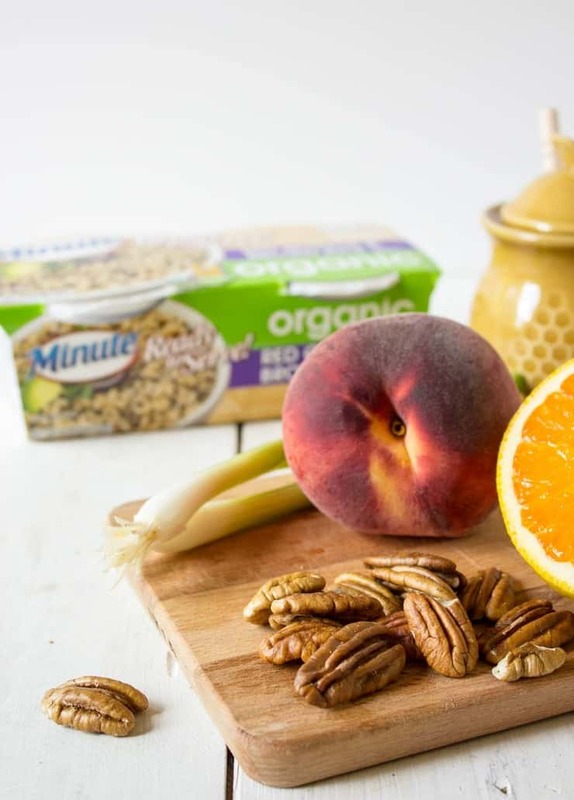 Disclosure: This is a sponsored post written by me on behalf of Minute® Ready to Serve Organics. Yesss to all things peach! They have been so good by us lately and I can’t get enough! This salad sounds perfect for quick lunches! Um yum! 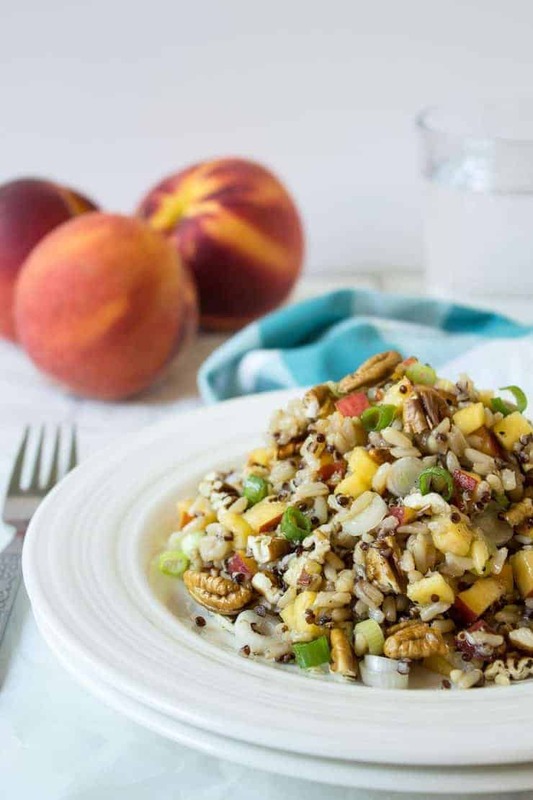 I’ve been adding peaches to everything lately and I can only imagine how good they must be thrown into this brown rice and quinoa salad. There’s nothing better than a fresh peach! I like the idea of having something ready for lunch! And if it is this yummy, all the better. Nutritious and appetizing, I would definitely go for it for my lunch option. 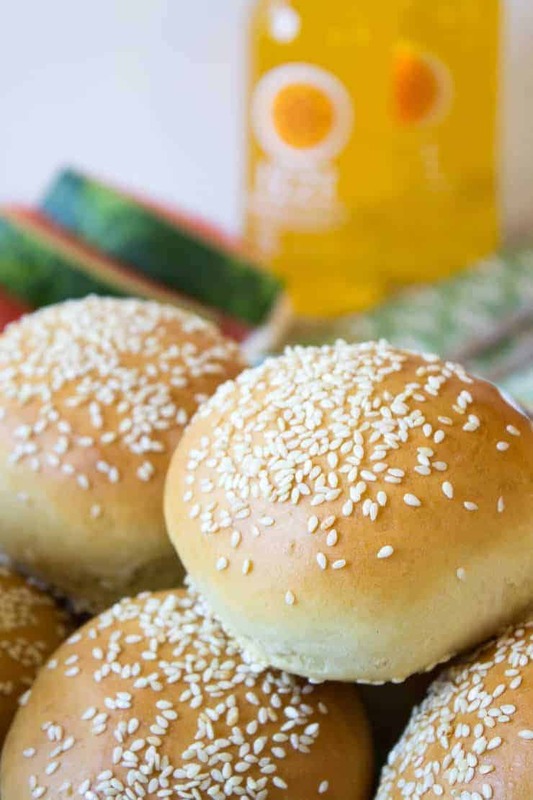 It makes a great lunch or even a light dinner! I definitely love snacking, and I also love peach recipes. But I have never tried them with quinoa. And your salad looks so refreshing and delicious, Kathy. There’s nothing better than using and eating fresh peaches! I really love to eat smaller meals throughout the day rather than bigger meals. This salad is definitely something that I would love for lunch! 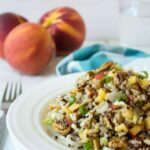 It has so many delicious flavours with the pecans and peaches – nice savoury/sweet combo which is my fave 🙂 !! I love snacking and I also love healthy salads like this one! Looks amazing! Dre dressing is delicious. Need to try this rice blend! This salad is super delicious! I can’t decide what part I like most, the salad with those beautiful peaches or the dressing!! I guess that why you put them together 😉 . Great salad! Take care. You are so right! They are a great combination together! Actually, we just need to be friends. 🙂 As in, can you move in down the street…and bring your peach and pecan tree with you?? Sounds like an amazing combination of ingredients Kathy! 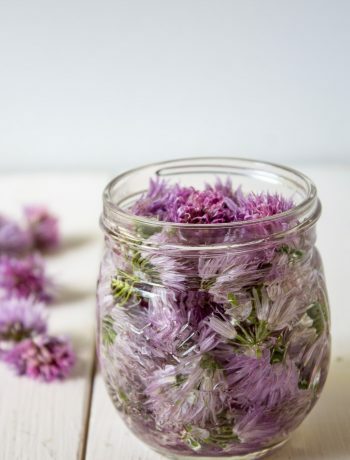 Can’t wait to give this recipe a try! Thanks, Mary Ann! It’s quickly becoming my new favorite lunch! I have a problem with snacking, too! But to curb it, I tend to eat 5 small meals (or snacks) vs. 3 large meals. Quinoa is so delicious and filling, I love adding it to my salads for a little more heft! Naturally I am looooving this salad! It is so perfect for summer! I haven’t tried Minute ready quinoa yet, so I need to get on that! Cheers, friend! You need to give it a try. It’s great for eating just on it’s own or in this delicious salad!